Student Union Multipurpose Room (3rd fl) Tuesday, February 25, 2014 at 12:10 p.m. Please join us for an incredible evening with performances by the Enlightenment Musicians, jazz pianist Tigran Martikyan, renown Cuban-American singer Yamila Guerra, Rosell y Cary and Latin Grammy Award winning composer/artist Yalil Guerra! The evening’s sit down dinner reception offering incredible variety of various cuisines will be prepared by famous international chefs. We hope that you will join us and help us keep our series alive so that we can continue bringing our audiences beautiful performances of classical music by renown artists free of charge! 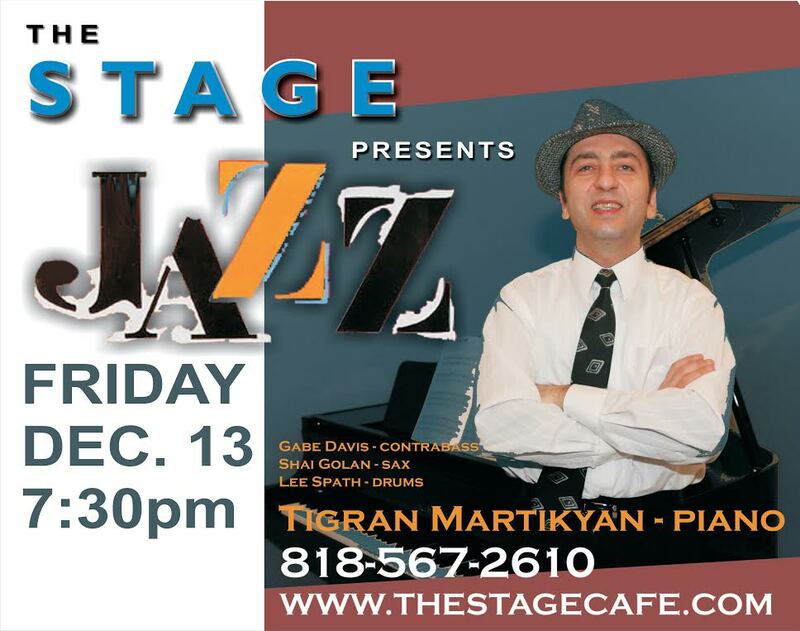 The program will include Tigran’ original music, and new selections from his upcoming album “My Home Town Armenia” as well as jazz interpretations of an Armenian folk music by the great Komitas. Scarlet Tea Room (18 w. Green St, old Pasadena) Saturday, June 1st, @ 7:00 pm, 2013. Scarlet Tea Room (18 w. Green St, old Pasadena) Saturday, December 29, 7-10 p.m. 2012.